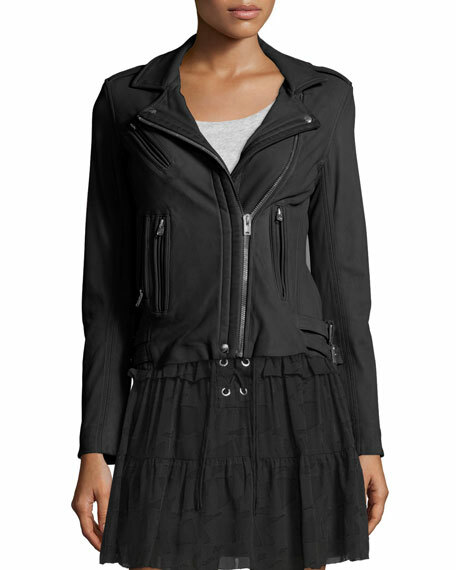 Rebecca Taylor velvet motorcycle jacket. For in-store inquiries, use sku #2327968. 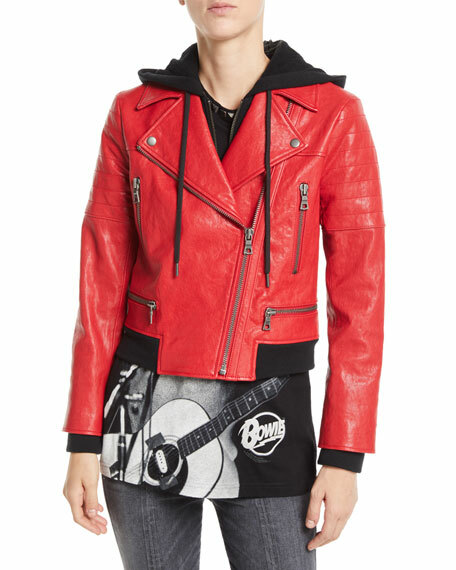 ALICE + OLIVIA JEANS "Avril" lamb leather moto jacket with sweatshirt combo. Approx. 21.5"L from shoulder to hem. Drawstring hood; notched collar. Asymmetric zip front. Long sleeves; zip cuffs. Front zip pockets. Zip-off waist detail. Semi-fitted. Combo, cotton/linen. Imported. 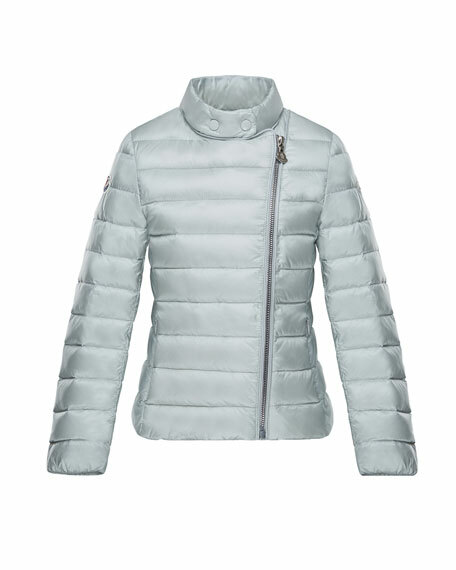 Moncler "Amy" quilted coat. Stand collar; asymmetric zip front with double snap top. Long sleeves; logo patches at sleeves. Hidden zip pockets at waist. Semi-fitted silhouette. Straight hem. Interior care instruction comic. Outer, polyester; fill: down/feathers. Base, cotton. Imported.